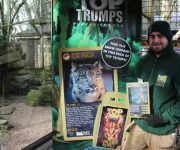 DZG’s Safari Shop today joined a sweet maker’s war on single-use packaging by becoming one of the first UK retailers to stock treats in compostable bags. 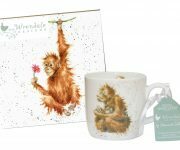 In partnership with Calico Cottage’s new brand, The Cambridge Confectionery Company, the zoo will be stocking sweets wrapped in compostable bags which break down and disappear in soil in … Continue reading Planet-saving sweets! DZG has taken delivery of its own collection of colourful songbirds to help in an international crisis – but these are the soft and cuddly kind! 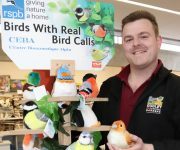 Our Safari Shop is selling a selection of plush birds which make an authentic bird call – and for each one sold, £1 will be added to our Songbird … Continue reading Birds going cheep! DZG is helping make mums feel special this Mother’s Day – by treating them to a free day-out. 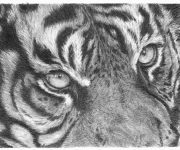 We’re offering all mothers chance to spend the special Sunday getting close to some of our rare and incredible animals at the 40-acre zoo. 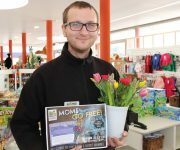 DZG Marketing Assistant and mum-of-two Louise Curtis said: “This is a great opportunity … Continue reading Make mum’s day! 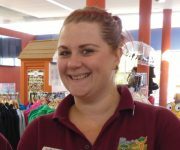 Congratulations to DZG’s Retail Supervisor Lucy Musgrove who has landed our employee of the month award. Lucy, who works in the Safari Shop and offices, was nominated by our finance team for her help and support with a new till system which was introduced last year. And her manager Isobel Blackwell, Retail Manager, was full … Continue reading Lucy lands award!